Jack London State Historic Park is located at 2400 London Ranch Road in Glen Ellen, California, about an hour’s drive north of San Francisco. 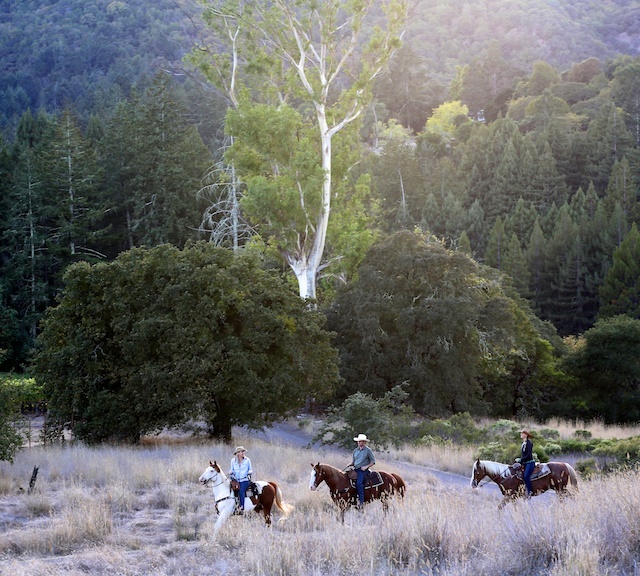 Please check your GPS carefully: We do not give horseback tours in Sebastopol, and we no longer give tours at a winery in nearby Kenwood (Google Maps and Yelp have been slow to make this adjustment). Set your sights, and your GPS, for Jack London State Historic Park in Glen Ellen. Once in the park, go to the upper parking lot, the first righthand turn past the entrance station. Go up the little incline and continue to the far right, all the way to the far end of the parking lot. We are short walk up the trailhead.